In our industry, the term bot applies to software applications designed to perform an automated task at a high rate of speed. Typically, I use bots at Radware to aggregate data for intelligence feeds or to automate a repetitive task. I also spend a vast majority of time researching and tracking emerging bots that were designed and deployed in the wild with bad intentions. As I’ve previously discussed, there are generally two different types of bots, good and bad. Some of the good bots include Search Bots, Crawlers and Feed Fetchers that are designed to locate and index your website appropriately so it can become visible online. Without the aid of these bots, most small and medium-sized businesses wouldn’t be able to establish an authority online and attract visitors to their site. On the dark side, criminals use the same technology to create bots for illicit and profitable activates such as scraping content from one website and selling it to another. These malicious bots can also be leveraged to take over accounts and generate fake reviews as well as commit Ad Fraud and stress your web applications. Malicious bots have even been used to create fake social media accounts and influence elections. With close to half of all internet traffic today being non-human, bad bots represent a significant risk for businesses, regardless of industry or channel. As the saying goes, this is why we can’t have nice things. If a malicious bot targets an online business, it will be impacted in one way or another when it comes to website performance, sales conversions, competitive advantages, analytics or users experience. The good news is organizations can take actions against bot activity in real-time, but first, they need to understand their own risk before considering a solution. E-Commerce – The e-commerce industry faces bot attacks that include account takeovers, scraping, inventory exhaustion, scalping, carding, skewed analytics, application DoS, Ad fraud, and account creation. Media – Digital publishers are vulnerable to automated attacks such as Ad fraud, scraping, skewed analytics, and form spam. Travel – The travel industries mainly deal with scraping attacks but can suffer from inventory exhaustion, carding and application DoS as well. Social Networks – Social platforms deal with automated bots attacks such as account takeovers, account creation, and application DoS. Ad Networks – Bots that create Sophisticated Invalid Traffic (SIVT) target ad networks for Ad fraud activity such as fraudulent clicks and impression performance. Financial Institutions – Banking, financial and insurance industries are all high-value target for bots that leverage account takeovers, application DoS or content scraping. It’s becoming increasingly difficult for conventional security solutions to track and report on sophisticated bots that are continuously changing their behavior, obfuscating their identity and utilizing different attack vectors for various industries. Once you begin to understand the risk posed by malicious automated bot you can then start to focus on the attack vectors you may face as a result of activity. Account takeover – Account takeovers include credential stuffing, password spraying, and brute force attacks that are used to gain unauthorized access to a targeted account. Credential stuffing and password spraying are two popular techniques used today. Once hackers gain access to an account, they can begin additional stages of infection, data exfiltration or fraud. Scraping – Scraping is the process of extracting data or information from a website and publishing it elsewhere. Content price and inventory scraping is also used to gain a competitive advantage. These scrape bots crawl your web pages for specific information about your products. Typically, scrapers steal the entire content from websites or mobile applications and publish it to gain traffic. Inventory exhaustion – Inventory exhaustion is when a bot is used to add hundreds of items to a cart and later, abandon them to prevent real shoppers from buying the products. Inventory scalping – Hackers deploy retail bots to gain an advantage to buy goods and tickets during a flash sale, and then resell them later at a much higher price. Carding – Carders deploy bots on checkout pages to validate stolen-card-details, and to crack gift cards. Skewed analytics – Automated invalid traffic directed at your e-commerce portal can skews metrics and misleads decision making when applied to advertisement budgets and other business decisions. Bots pollute metrics, disrupt funnel analysis, and inhibit KPI tracking. Application DoS – Application DoS attacks slow down e-commerce portals by exhausting web servers resources, 3rd party APIs, inventory database and other critical resources to the point that they are unavailable for legitimate users. Ad fraud – Bad bots are used to generate Invalid traffic designed to create false impressions and generate illegitimate clicks on websites and mobile apps. Account creation – Bots are used to create fake accounts on a massive scale for content spamming, SEO and skewing analytics. Finding a solution that arms partners and service providers with the latest information related to potential attacks are critical. In my opinion, a Bot Intelligence Feed is one of the best ways to gain insight into the threats you face while identifying malicious bots in real-time. 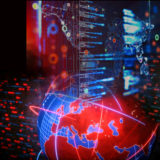 A Bot Intelligence Feed will provide you with information about the latest data on newly detected IPs for various bot categories like data center bots, bad user-agent, advanced persistent bots, backlink checker, monitoring bots, aggregators, social network bots, spam bots, as well as 3rd party fraud intelligence directories and services used to keep track of externally flagged IPs, ultimately giving organizations the best chance to proactively block security holes and take actions against emerging threat vectors.